Support St Laurence's Trinity FUNders every time you shop online, click the sign up button on the above page Link to start fundraising for St Laurence's Trinity FUNders. 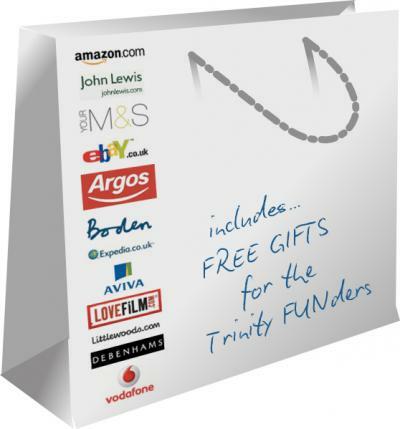 Help St Laurence's Trinity FUNders raise money, just by shopping online. WE DID IT!!! BUT ONLY WITH YOUR HELP!!! Many thanks to everyone who helped us to achieve our first target of £20,000!!!!! During the summer we repaid the loan from the Diocese, plus the interest, and we are SO pleased that this was achieved in good time and we just could not have done it without every single penny YOU helped us to raise!! We are a body of people working and praying together to restore and maintain the historic parish church of St Laurence in the popular village of Downton, six miles south of the Cathedral city of Salisbury in Wiltshire. 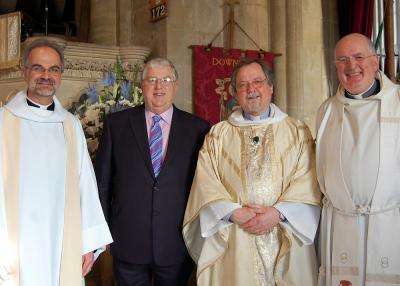 The church dates back to the 12th Century and we wish to ensure that it remains a welcoming place for the community for the enrichment of life and faith for many generations to come. The crisis in 2008 was the complete failure of the church’s heating system which only seemed to have been around since the 12th Century! However it did serve us faithfully for many, many years thanks in no small way to some very dedicated gentlemen nurturing it. We had to find funds for it to be totally replaced; you can imagine this is no small task in such a beautiful, ancient listed building. We now need to repay £75,000 in loans! The church itself – just to stand still – costs a lot of money that we raise annually with our regular events at the Cuckoo Fair, Summer Fete and Christmas. Therefore what we need now is EXTRA funding in even larger amounts. That is where the St Laurence Trinity FUNders come in. • We’d like to have fun while raising this money – hence the wordplay – FUNders. FUNdraising on this scale will need to continue for several years. We hope there will be whole village involvement in this project to save and improve our parish church. • Attend the wide variety of functions that will occur regularly – watch for our logo on posters or here on our website. 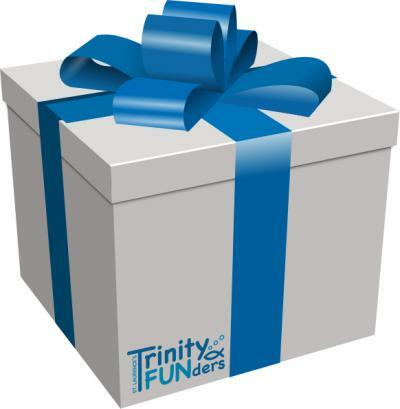 • Hold an event yourself – it could be big or small – every penny counts. There is a list of suggestions in the church to give you some ideas. We can help with publicity and advice – you would not be on your own. • As always – donations are gratefully received. If you are a tax payer please let us know and every £1 is then worth £1.25 to the FUNd. We look forward to meeting you at our FUNdraising events!! and previous incumbant, Rev Michael Gallagher. Janet McGee; Sue Humby. Pat Bennett - Inset. Unfortunately, due to a house move, we have 'lost' one of our leaders - Pam Rea. 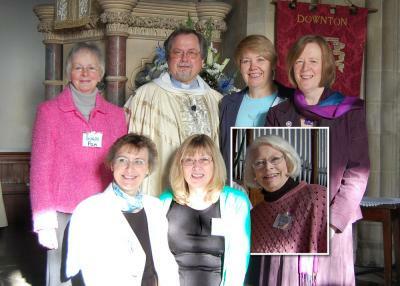 Our very best wishes and thanks go to Pam and her husband, Tony, for many years of dedication to St Laurence Church.